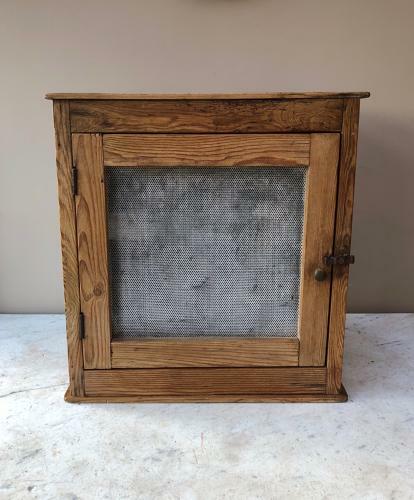 Early 20th Century Pine Foodsafe. Lovely original condition including the gauze panels. The door opens to one internal shelf. Unusually narrow so it makes a great wall cupboard too...or it will freestand on a worktop of course. These foodsafes are perfect in the summer to put your fruit inside as the flies cant get them. Good solid piece. Has been tank stripped at some point. No issues.